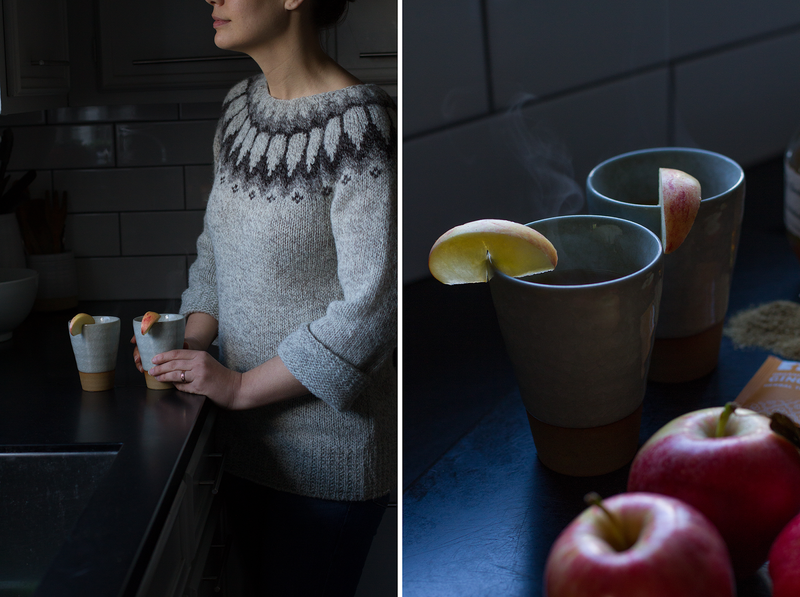 the autumn chill is taking over and with it comes the opportunity to create warming rituals. 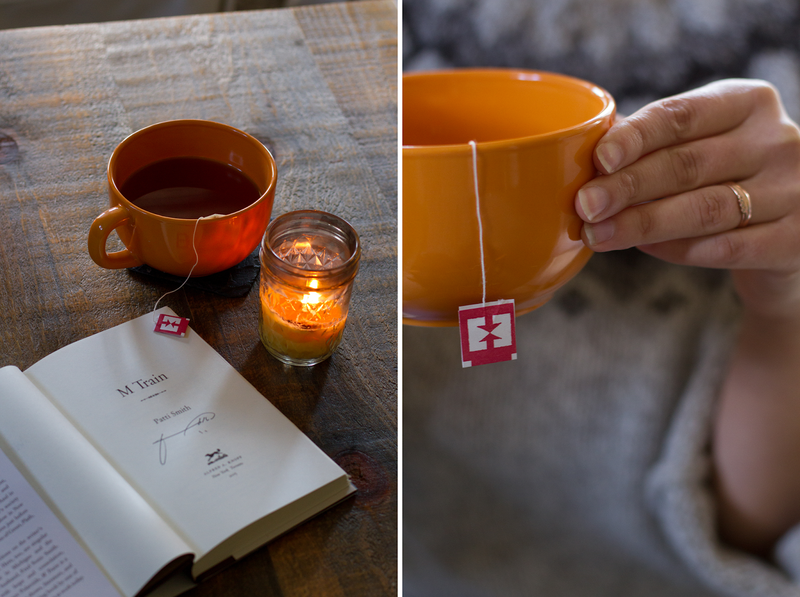 there is nothing more enticing on a brisk day than a perfect cup of tea. 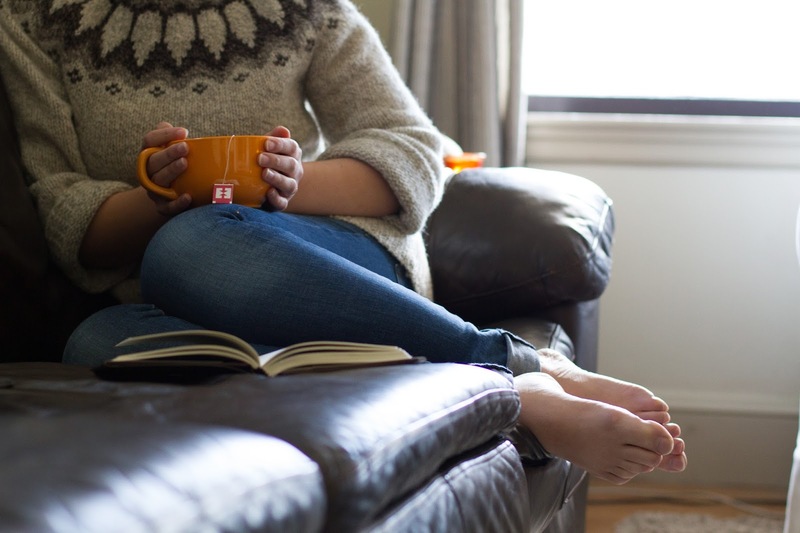 from the sound of the kettle to the warmth of the mug between your hands, it soothes every sense. 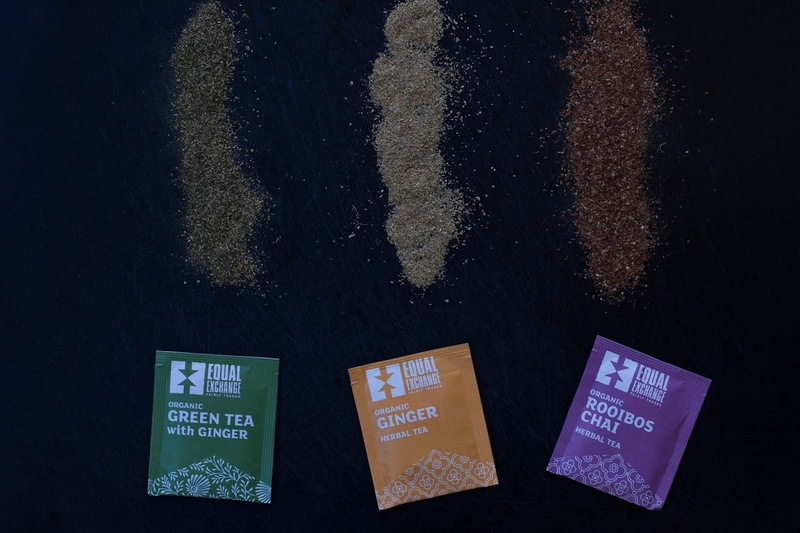 one of our favorite purveyors of fine teas, equal exchange, is introducing three new blends - just in time to make fall extra cozy! 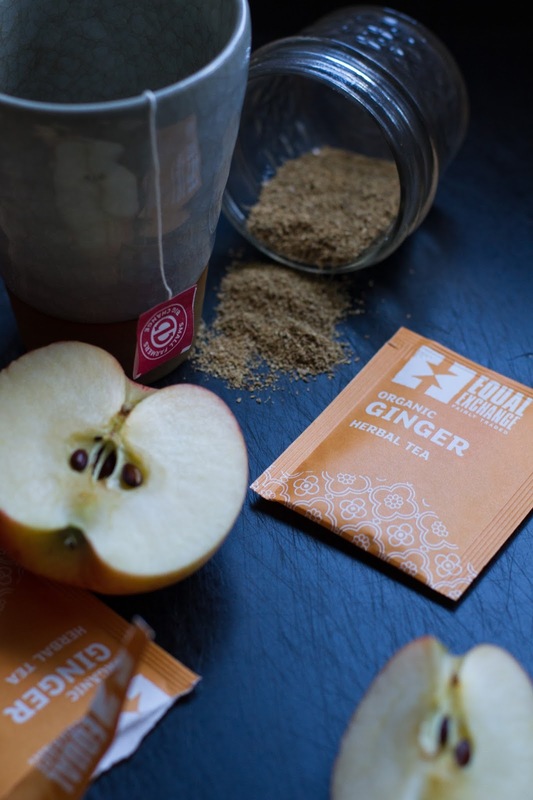 organic ginger tea is made with 100% pure ginger and is naturally caffeine free. 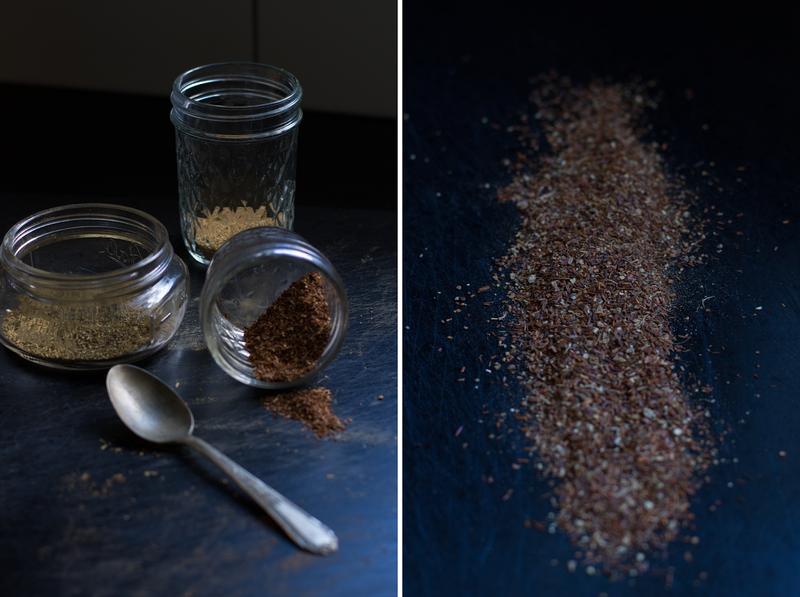 it is sweet and rich in flavor with a warming, peppery ginger finish. drink to sooth, de-stress or re-energize mind and body alike. organic green tea with ginger offers the best of both worlds by combing the floral, toasted rice and oceanic flavor notes of green tea with a warming ginger kick. we are so proud to support companies like equal exchange who provide fantastic products and source them in a manner that empowers their growers and respects the environment. 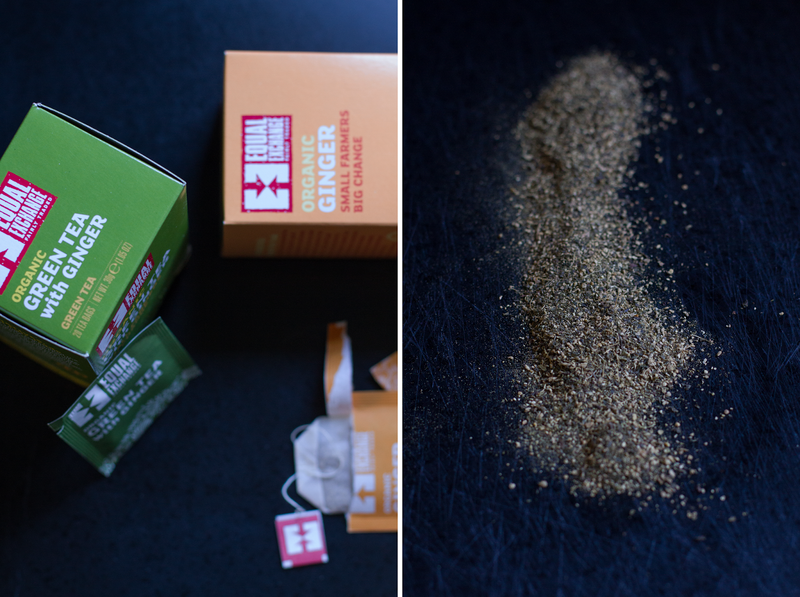 the tea is grown by democratic small-scale farmer co-operatives who own their own land. equal exchange pays a price that represents the real value of the tea (which is well above the inequitable market value). and all of their farmer-partners care for the environment through organic farming and biodiversity. 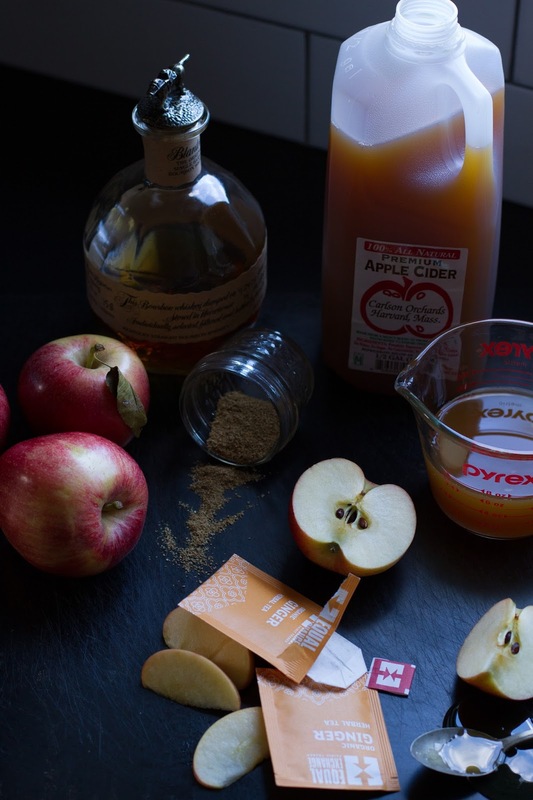 in honor of the season, and these wonderful tea blends, we created a sweet and slightly tart toddy recipe - any of the new fall teas would work beautifully, but we choose to use the ginger tea for that added kick of spice. 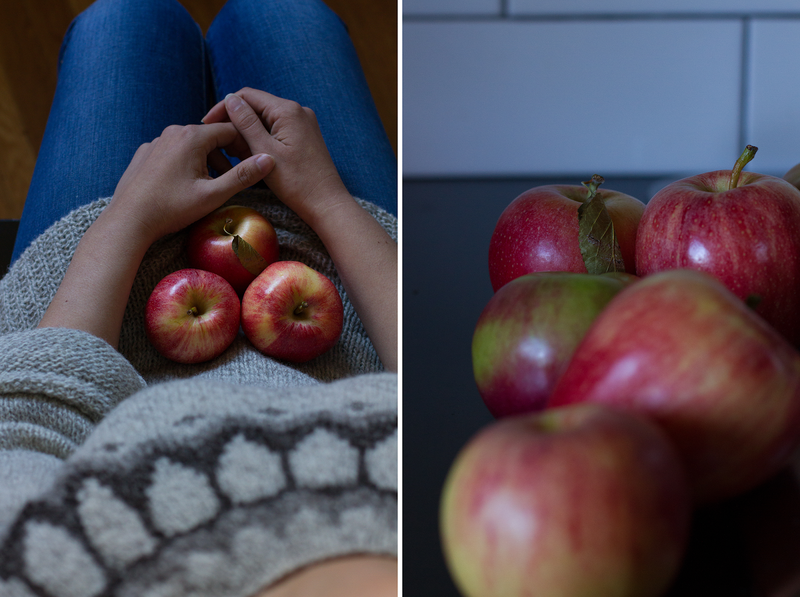 it's the perfect thing to warm up to after picking apples or raking leaves. 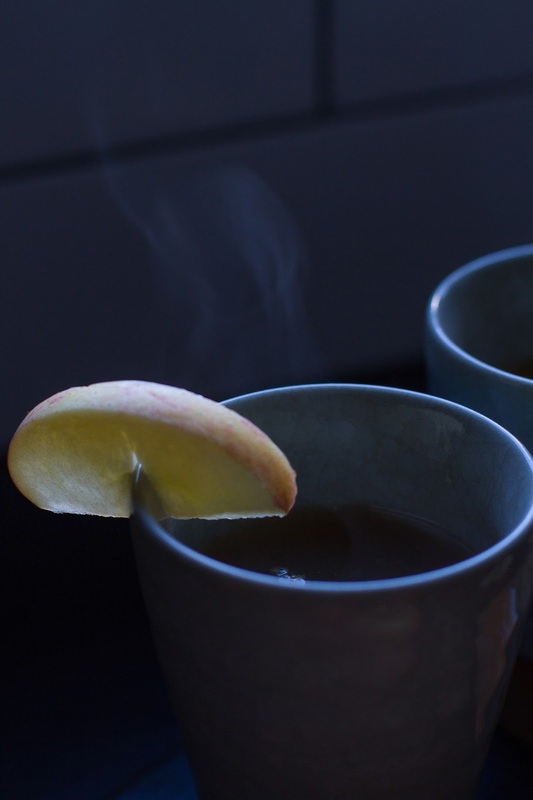 heat the cider and water in a small pot on the stovetop. 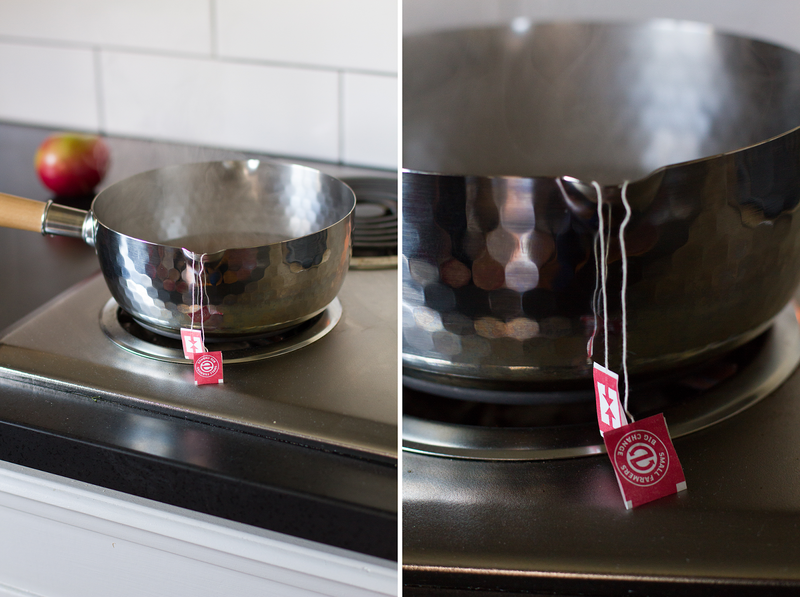 steep tea bags in the cider for 5 minutes, then remove. 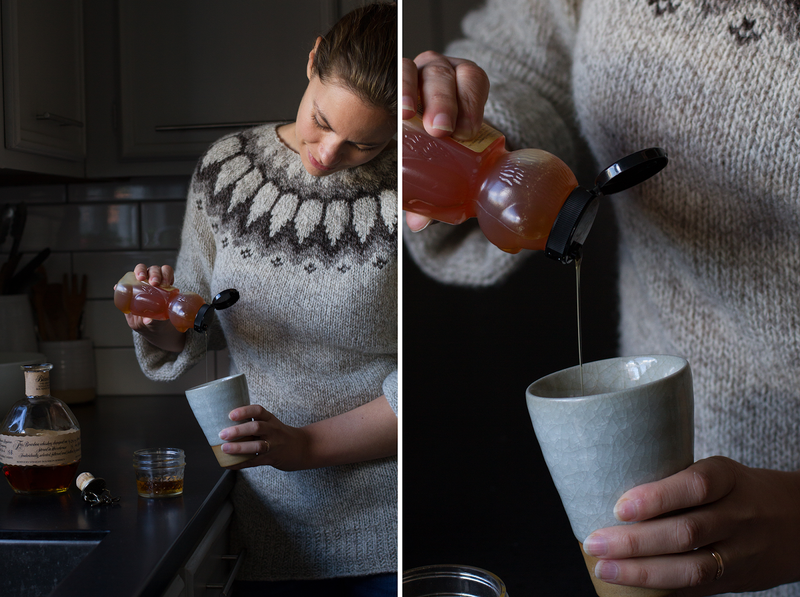 drizzle mugs with honey and add one shot each of bourbon. 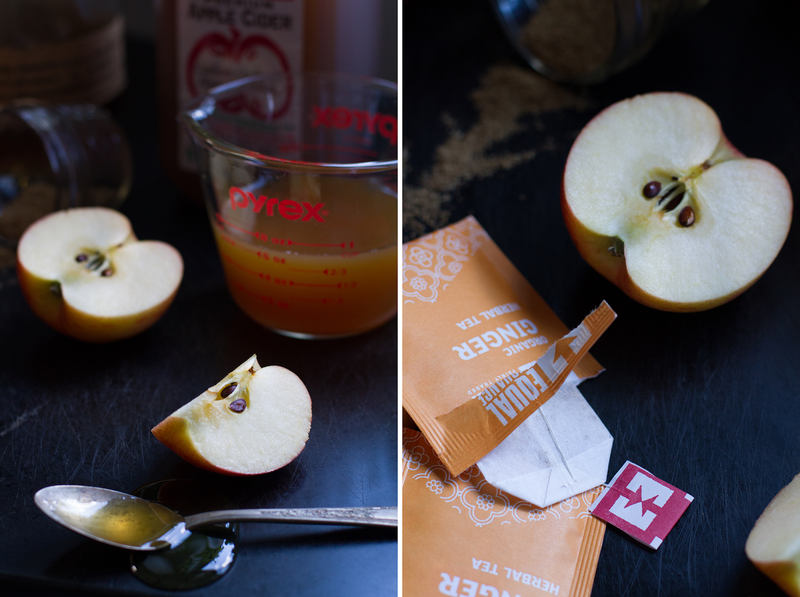 pour infused cider into each mug. 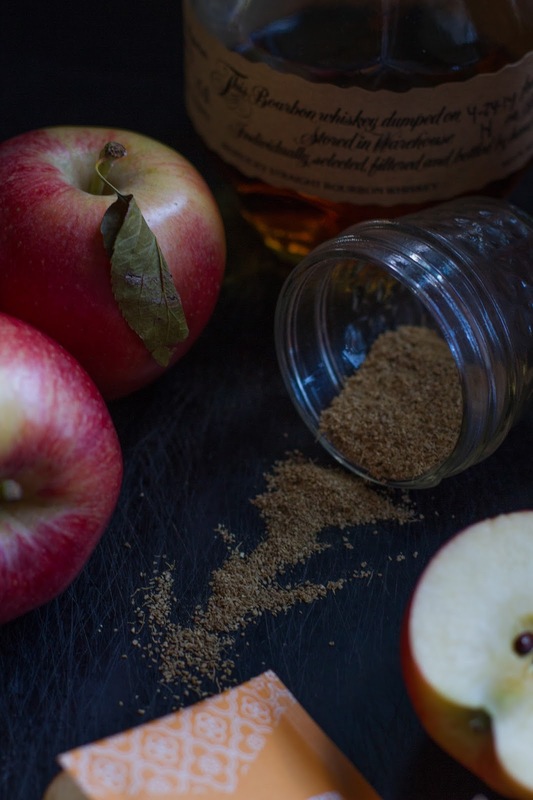 garnish with an apple slice and get comfy!